This is the audacious counterpart of my other recipe for Sweet Orange Chicken. While they both share the commonality of having orange as a main component they are two very different recipes. 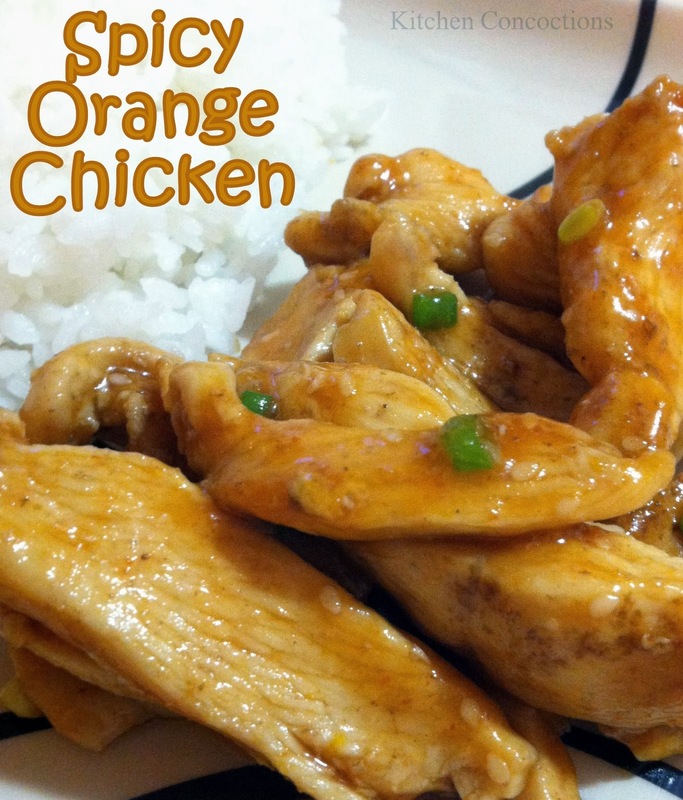 If you want something a little more sweet and easy going Sweet Orange Chicken is your dish. If you want something bold and adventurous, this recipe is for you. It has a kick of spice and a great orange tang, complemented by the flavors of honey and sesame. Combine ingredients for the marinade, and pour over the chicken in a dish that allows the chicken to be submerged in the marinade. Leave to marinate for at least 30 minutes. Meanwhile, combine ingredients for the glaze, in a bowl. If you are using 3 TBS of the marinade, rather than the orange juice, this can be added to the frying pan (with the chicken and oil) once the chicken is done marinading. Stir the marinade until the honey has dissolved. Remove the chicken from the marinade and place in a frying pan with the oil (and 3 TBS of marinade if you are not using orange juice in the glaze). Saute over medium-high until the chicken is completely cooked. Add the glaze and allow everything to simmer until the sauce has thickened. Add the green onions, and serve over rice.